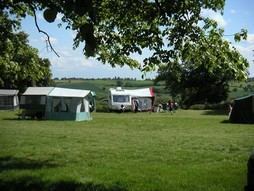 The Campsite at Wing Hall occupies the fields surrounding the house, providing guests with stunning views and a relaxed, friendly atmosphere - all anchored around the Victorian Manor House, just a mile from the expanse of Rutland Water. Dogs, families and couples welcome. 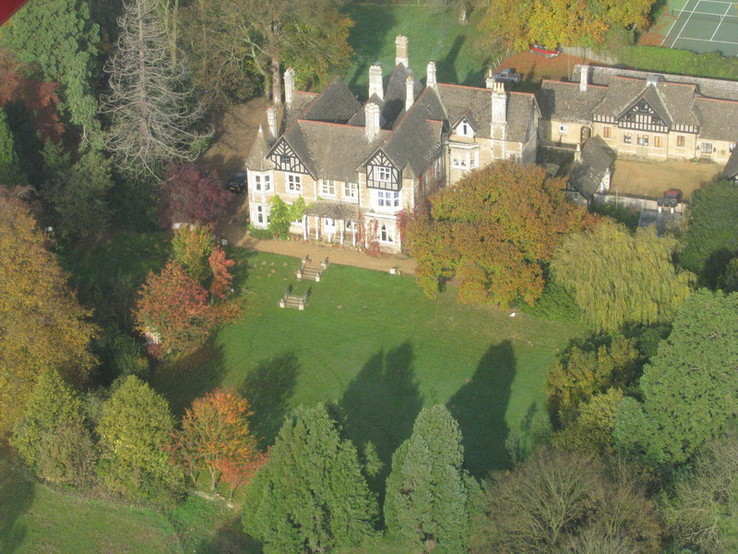 "A deeply tranquil and rural park set in the grounds of an old manor house. 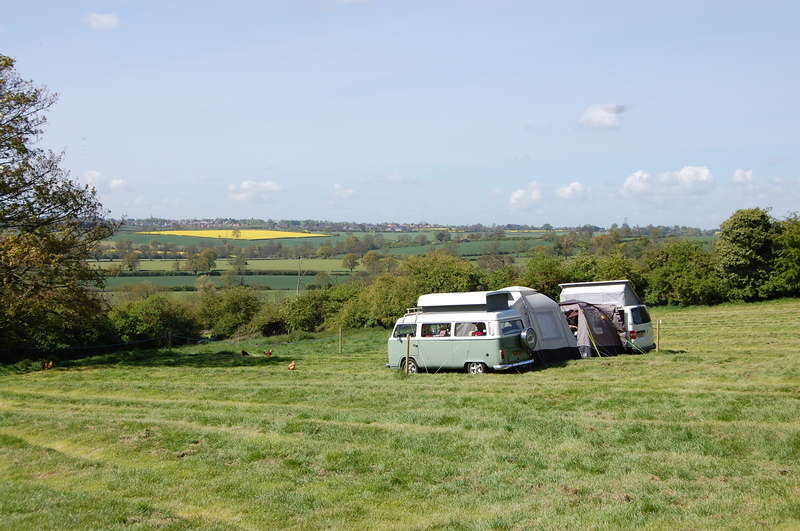 The four grassy fields with attractive borders... have exceptional views across the Rutland Countryside... Children and tents are very welcome in what is a safe environment where there is space to roam." For our prices please click here. To book, see link below. We welcome guests from March through to October (on-line booking is required, as is agreeing to comply with our on-site rules). With basic facilities (for more informaiton, please click here) the site offers 'real' camping where the focus is about enjoying the location, the scenery and quality time. For those wishing for a little more comfort, the on-site Shepherd's Huts offer great views, comfortable beds, privacy and good value. For our Photo Gallery, here. We ask that all guests respect the fact that Wing Hall is a quiet family site (we enforce rules on noise) and that guests review and comply with the site rules (below). We have reluctantly decided not to accommodate unsupervised groups of young people - in order to preserve the tranquility of the site (other groups - including, for example, Duke of Edinburgh Award groups with leaders - should enquire here. From years of experience, we know that different people want different things from a campsite. We have tried to keep our site 'real'; which means it offers a simple, basic standard in an un-spoilt, relaxed and family-friendly environment. We are fortunate to have dozens of guests who return throughout each year as they find Wing Hall the authentic, friendly and quiet campsite which many thought to be a thing of the past. PLEASE NOTE: For Bank Holiday Weekends we have a two-night minimum stay requirement and three nights if electric. Children should be properly supervised and not be allowed to roam the site without an adult after dark - please ensure children do not chase or take too much interest in the chickens! The nature of the Hall means that maintenance work, gardening and farm activities take place all-year round and these activities present risks - particularly for unattended children. Please note that Wing Hall, its staff and owner, cannot accept any responsibility for loss or damage of personal possessions whilst on-site. Also, please be aware that no responsibility will be taken for accident or injury to guests or visitors. Finally, when necessary to ensure the enjoyment of the majority of our guests, Wing Hall reserves the right to refuse access to the site; decline confirmed bookings or to ask guests to leave with immediate effect (without refunds), if deemed necessary by the site manager, whose decision is final and who is under no obligation to provide expalantion or alternative arrangements at any time.